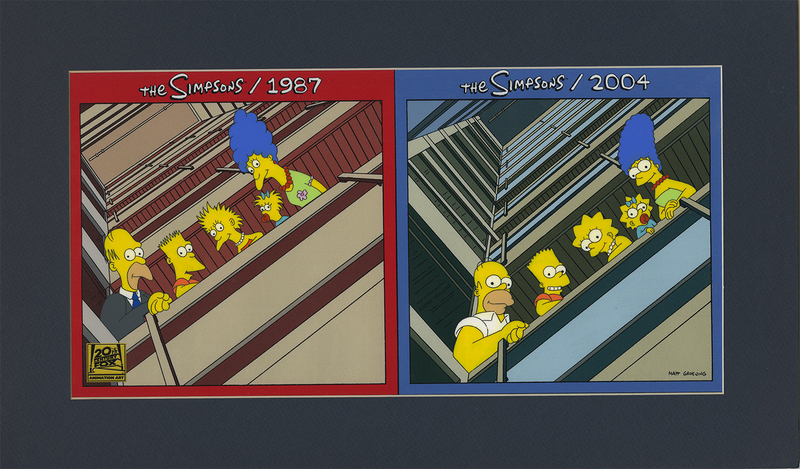 This is a hand-painted limited edition cel from the FOX Studios production The Simpsons (1987-present). 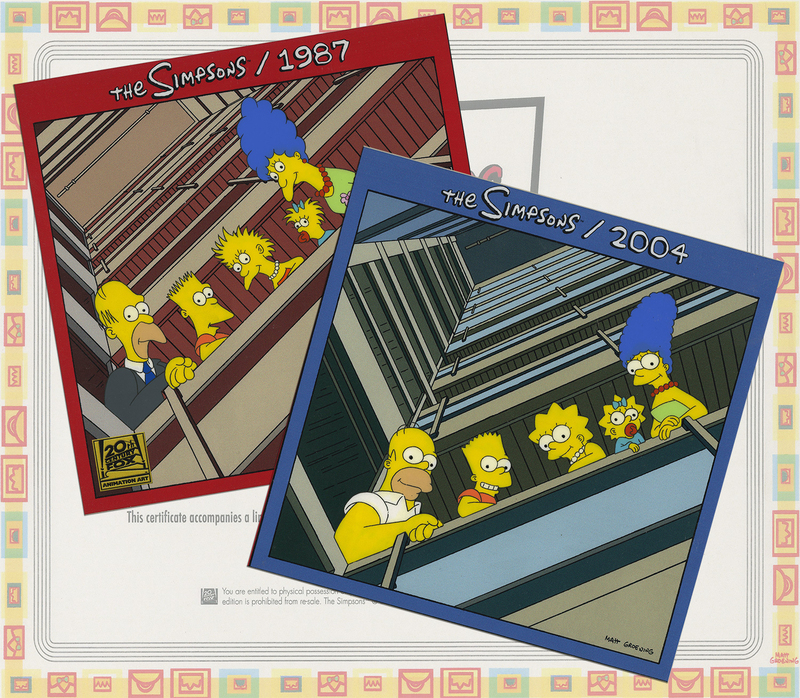 This Limited Edition features Homer Simpson,Marge Simpson,Bart Simpson,Lisa Simpson,Maggie Simpson in their original style as they appeared on the Tracey Ullman Show and also their then current models, when the limited edition was created in 2004. 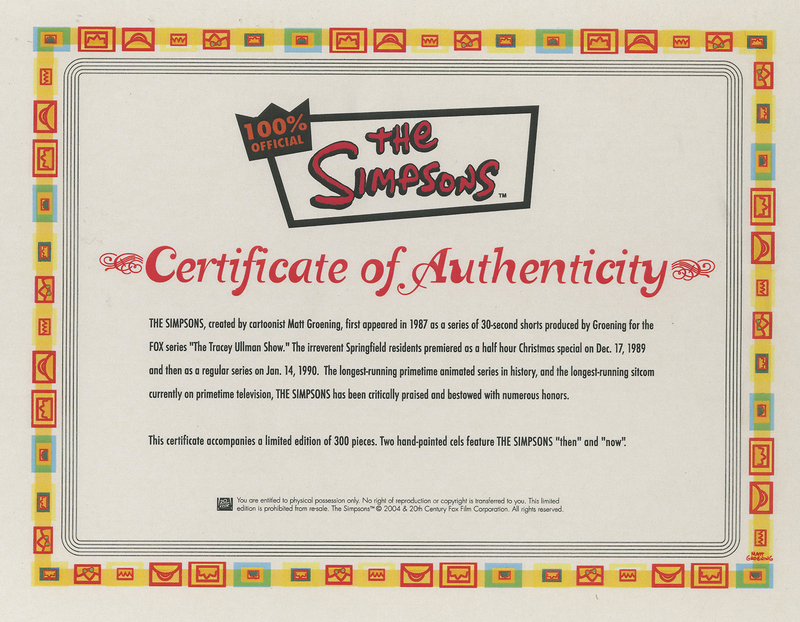 This limited edition was created in an edition of only 300 pieces. The imager is created with one cel layer that has all of the family members hand-painted onto it, and this cel is then registered to a printed background. The overall measurements of the piece are 8.5" x 16.5" and the image itself measures 6.5" x 6".